You have to forgive Delaware, they are small! Interesting video to say the least. I wonder if Mr. Dieter is basing his projections upon current states that have the death statute. What I mean is that it looks as though Maryland will abolish it this year, and so his projection could be a bit off. 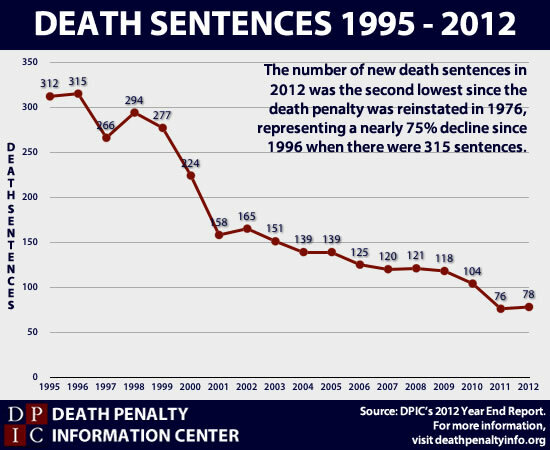 That said, Maryland hasn't had execution in a number of years so maybe "death sentences" in Maryland have no real meaning because the state has a de facto moratorium. Montana is debating the DP as well but I sense that Montana will retain it. 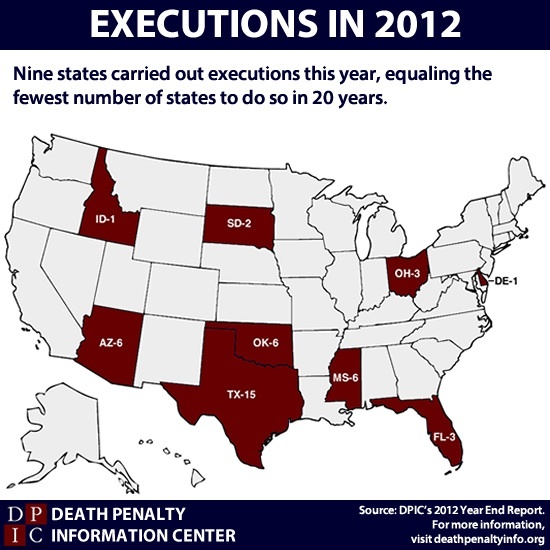 California which is a far more liberal state voted to retain it though from my understanding it will still be quite a while before CA carries out any executions. Oregon is another interesting case in that Gov. Kitzhaber has refused to sign any death warrants but I have no idea where the people of Oregon stand on the DP. I think that 2013 and 2014 are going to be interesting years for the DP whether you are pro or anti. The governors of Maryland are arguing from a moral standpoint while Montana is arguing from a fiscal perspective. 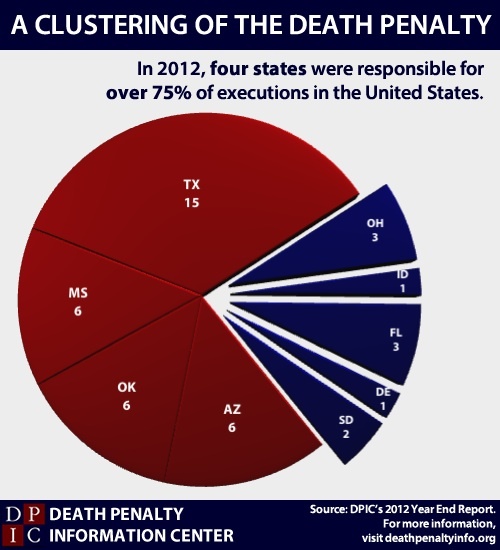 In addition, the whole controversy over lethal injection, or more specifically, where and how the drugs are procured I believe is going to impact the DP. While I realize that many states have a back up plan, I wonder how many besides Texas would be willing to go back to older methods? The solution - pardon the pun - may be in adopting a model similar to that of the state of Ohio.